Make Conflict Your Partner for Positive Change! Clinical psychologist and transformative communication expert Dr. Nate Regier believes that the biggest energy crisis facing our world is the misuse of conflict. Most organizations are terrified of conflict, seeing it as a sign of trouble. But conflict isn't the problem, says Regier. It's all about how we use the energy. When people misuse conflict energy, it becomes drama: they struggle against themselves or each other to feel justified about their negative behavior. The cost to companies, teams, and relationships is staggering. 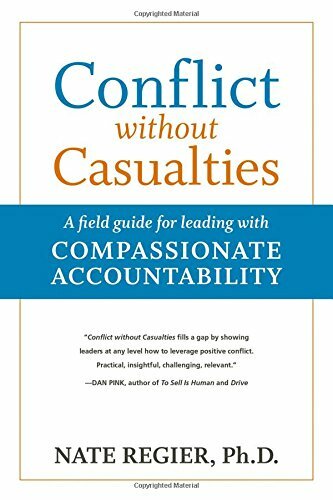 The alternative, says Regier, is compassionate accountability: struggling with others through conflict. Discover the Compassion Cycle, an elegant model for balancing empathy, care, and transparency with boundaries, goals, and standards. Provocative, illuminating, and highly practical, this book helps us avoid the casualties of conflict through openness, resourcefulness, and persistence.